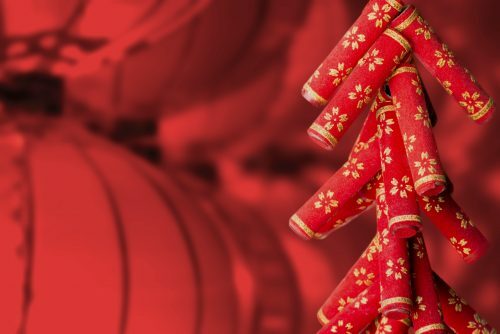 There’s no fixed date for Chinese New Year, in fact it can fall on any date between January 21st and February 20th, but in 2019 Chinese New Year is on February the 5th. On the date of the festival, we thought it would be a good time to have a closer look at this holiday which is celebrated by more than 20% of the worldwide population! Fascinating fact number 1: Fireworks are released to celebrate the death of Nian. One legend has it that a monster named Nian would come out prowling around the time of New Year’s Eve. Most people would hide in their houses, but one boy fought him by setting off firecrackers. The next day the people celebrated surviving by setting off more firecrackers. Fireworks have been let off ever since. Fascinating fact number 2: Chinese New Year technically lasts for 15 days. Celebrations start on New Year’s Eve, but then the festival, which is also called the Spring Festival, goes on for another two weeks! Fascinating fact number 3: The holiday causes the biggest human migration in the world. As family is one of the most important parts of Chinese New Year, everyone tries to go home for New Year’s Eve dinner. This means that, since most elderly parents live in rural villages and their children go to work in the city, there’s a mad rush to buy train tickets home for the holiday. In 2015, around 1000 tickets were sold every second once train tickets for the day were released 60 days prior to the date. Fascinating fact number 4: There’s no showering on New Year’s Day! To make sure that you don’t accidently get rid of any good luck, you’re not supposed to shower on New Year’s Day, and sweeping and throwing out rubbish isn’t allowed before the 5th! Fascinating fact number 5: Showering isn’t all that’s banned. Also banned are haircuts (before February 2nd), using scissors and sharp items, arguing and swearing, saying unlucky words like “death” and “sickness”, and (if you can help it) you also shouldn’t break anything during the festival! Weird and Wonderful University FactsGuess What 2019 Has Been Designated The Year Of!